The perfect ecommerce platform for selling B2B. High-powered features geared for wholesale, retail, shipping, security and more. 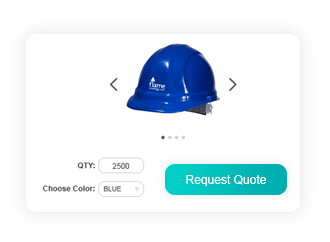 Sell online with all the advantages of flexible pricing, quick reorder tools, customer-specific product lists and high volume order capabilities. Offer different levels of pricing for wholesale and retail customers, control store-specific pricing and manage price quantity breaks with B2B pricing tools. Run many online stores from one integrated admin console. Sell different products or brands to multiple audience types, and regions at custom price points that work for you. Create rules for shipping products with distributors, warehouses and wholesalers. 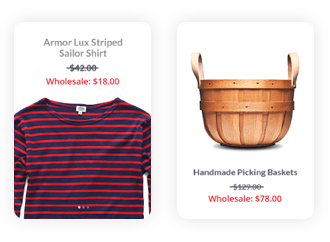 Set up triggers for shipping discounts and customize drop shipping options. Our B2B eCommerce features give manufacturers and distributors what they need to make backend processes go smoothly while growing their bottom line. 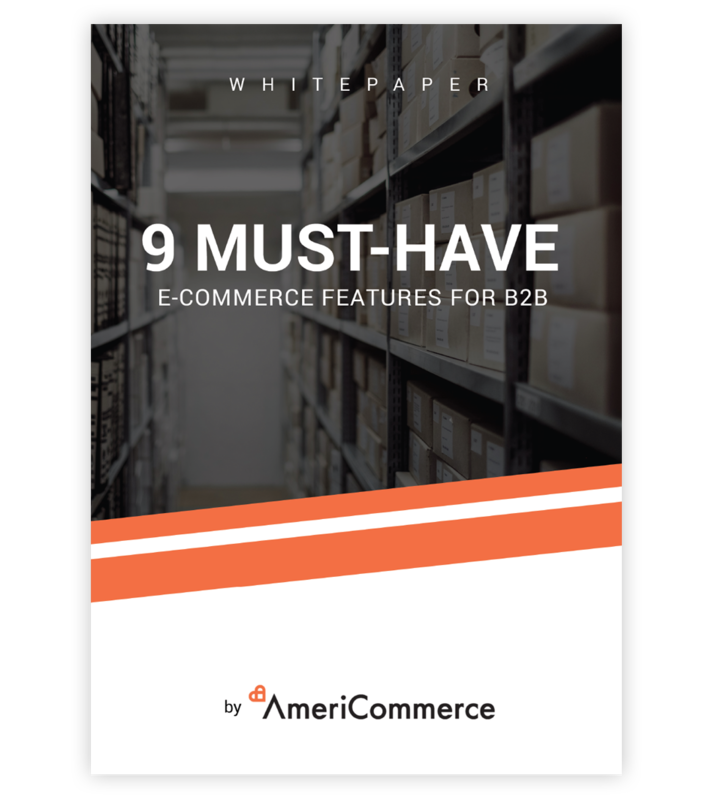 Whether you are an eCommerce retailer looking to add B2B eCommerce features in the future or an existing distributor wanting to improve your processes, order management and reporting, with a AmeriCommerce you have the flexibility, advanced tools and deep features every B2B eCommerce business needs. Take a call-in order over the phone by using the quick order entry in the admin. Capabilities to accept a PO# as a method of payment. We want to help businesses bust through the complexities of battling it out online. That's why we're happy to share some fundamentals and favorite tips with our FREE Whitepaper. 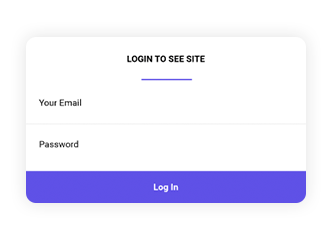 Protect your products, pricing, pages, or entire website by requiring visitors to log-in. Only allow certain customer types or users with permission to see the material they are trying to access. If you have strict security guidelines in your industry - this is a perfect fit for your store. Setup wholesale customers with unique pricing views so you don't have to manage a seperate stores or products to have a wholesale environment. Grant certain users access to special pricing just for them. Set a date for the quote to expire, add discounts, and custom comments for the customer to read, or private comments for internal viewing only. You can even create custom products and prices to account for services or fees that are not actually in your store product catalog, but need to be included and purchased through the quote. AmeriCommerce is designed for working as hard as you do-handling complex, layered product types, customer management and shipping needs. We're proud to be the choice for manufacturers, supplieres, distributors, retailers and wholesalers online.